Private Retreats for ONLY $59/person!!! That's right, our 2 day / 2 night retreats are usually $99/person, but we are knocking 40% OFF for groups that sign-up to do a camping retreat during the month of March. Why are we doing this? Because we are MAD (Madly IN LOVE with Jesus who MAD [Made A Difference] in us so that He can MAD [Make A Difference] through us in people's lives!!). So be a part of all the MADNESS this March!! Sign your group up today!! 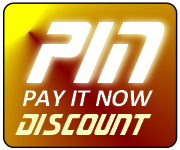 GTD's NEW Pay-It-Now (PIN) Discount!! This is a great new discount that GTD is offering on some events. It's very simple, we reward you with deep discounts for paying early on some GTD events! 20% OFF Private RETREATS in 2012!! Plan a 2 day / 2 night Retreat for your group for only $79/person when you Pay-It-Now!! Want to save more... do the same retreat in March for only $59/person!! 20% OFF Private DAY TRIPS in 2012!! Plan a Day Trip for your group for only $16/person when you Pay-It-Now!! Pay-It-Now and save $100 on The Grand Canyon Trip!! Pay-It-Now and save $300 on The Grand Canyon Trip when you purchase 2 tickets!! Costa Rica, The Grand Canyon & Sedona, Slammed, Go Vertical -or- HydrO, Nomad, Grunge, Liquid, Paddle Prowl, The Drifters, Ignite, Swamp Thing & The Annual Banquet!! Check a bunch of things off your Bucket List in 1 year!! Grunge, Liquid, Paddle Prowl, The Drifters, Ignite, Swamp Thing & The Annual Banquet!! Simply purchase a 2012 $100 GTD BuYPASS and it becomes your ticket into any & all GTD Public Events that would normally cost $100 or less. YOUR CHURCH UP FOR A CHRIST-CENTERED GTD EVENT!